I had been working out from home from quite some time and I got tired of working out alone all the time. So I decided that I wanted to join a community, not just a gym! 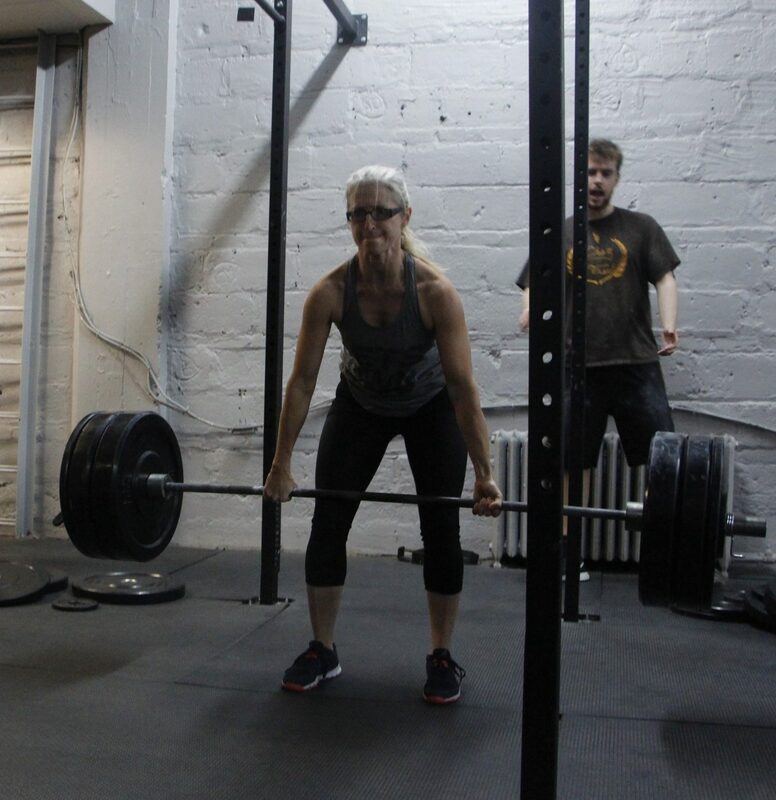 and Westmount CrossFit is a community – we push each other, encourage each other and it’s a great way to start my day! At first I thought there were so many things I wouldn’t be able to do – handstand pushups, deadlifts… but every workout is scaled so as we get comfortable with the workouts we can progress more and more. Doing handstand push-ups, I thought it would take me years before I would be able to do that. My endurance and my cardio, I’m leaving for a 5-day hiking trip. In our workouts I’m able to work on both. Seeing Serge doing his first DU and being so surprised that he stopped skipping! We all laughed! It’s like being amongst family.